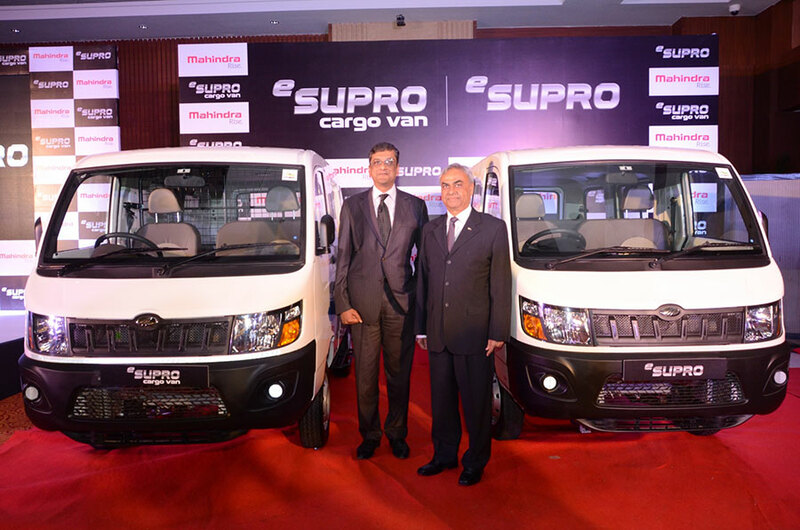 Mahindra & Mahindra Ltd (M&M Ltd), part of the USD 17.8 billion Mahindra Group, today announced the launch of eSupro – India’s first zero emission, all electric cargo and passenger vans. The eSupro platform will usher in a whole new concept in cargo transportation and people movement, and will drive Mahindra’s vision of Future of Mobility. The eSupro platform will cater primarily to the B2B segment and would be available across Mahindra dealerships pan India with immediate effect. As one of the pioneers in integrated mobility solutions in India, it has always been our endeavor to make electric vehicles more accessible. The launch of eSupro will usher in a whole new concept in emission-free cargo transportation and people movement. Going forward, the eSupro will provide a much needed fillip to companies in the B2B and e-commerce segment. Today with our range of electric vehicles we can reach out to an entire spectrum of consumers across segments in people and goods movement. I am confident that the eSupro will effectively address issues such as increasing carbon footprint and reducing dependence on fossil fuels. Owing to its host of commercial applications and its suitability for last mile connectivity, the eSupro platform is ideally suited for deployment in e-commerce, courier services and transportation companies for intra city use. Going forward zero emission vehicles will drive the Future of Mobility, reduce emission and build an ecosystem for electric mobility in India, at par with its foreign counterparts. Charging the eSupro is as simple as charging a mobile phone. On a full charge, the Mahindra eSupro can travel for up to 112 kms (based on vehicle loading) and can achieve a top speed of 60 kmph.Powered by the latest electric drive train technology from Mahindra Electric, a high-torque electric motor and a direct drive transmission, the eSupro can effortlessly cruise through city traffic. The cargo and passenger vans are priced at Rs. 8.45 lacs & Rs. 8.75 lacs (ex-showroom Delhi, post state subsidy and FAME incentive)** respectively. Mahindra & Mahindra has been one of the pioneers of electric vehicle technology in India, and its current range of product in this segment includes the e2o, eVerito and now the eSupro. All these vehicles embody Mahindra’s vision of the ‘Future of Mobility’ which includes the framework of Green, Connected, Convenient and Cost Effective vehicle technology. Zero on Emissions: The eSupro van is a battery powered electric van, which makes it emission free and eco-friendly. Direct Drive Transmission: Direct drive transmission with a single speed gearbox and sophisticated speed management of the motor allows you to cruise through traffic effortlessly without shifting gears. Home Charging: Charging the eSupro is as simple as charging your mobile phone. Just plug it into a 15amp plug point and get a 0-100% charge in just 8 hours 45 mins*. Electric Drive Motor: Exceptional power of 25kW & 90 Nm(Torque) makes your drive smooth with a top speed of 60kms/hr. On full charge this van can run 112 kms. Regenerative Breaking: This revolutionary technology (First in India) charges eSupro’s battery every time its brakes are applied, helping the van literally recover the energy it dispenses. Unique Instrument Cluster: Stylish instrument cluster provides important information such as: Status of Charge (Battery), Distance to Empty (DTE), Speed, Gear Engaged, Total Running and efficiency. Lithium Ion Batteries: The eSupro comes with a 72V battery pack of long-life, maintenance-free lithium-ion batteries. Boost Mode: Added power to handle steep inclines with ease. Revive R: Emergency feature gives 7kms of extra range once you are out of charge. What to do when you fill wrong Fuel?